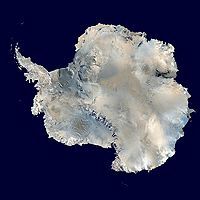 Antarctica is a continent located in the southern part of the world. It is mostly covered in snow and ice. The south pole is located in Antarctica. Antarctica has no countries. Countries have agreed to only live on it for scientific research. Only several thousand people live in Antarctica, and they only live there temporarily. This page was last edited on 3 May 2017, at 22:14.